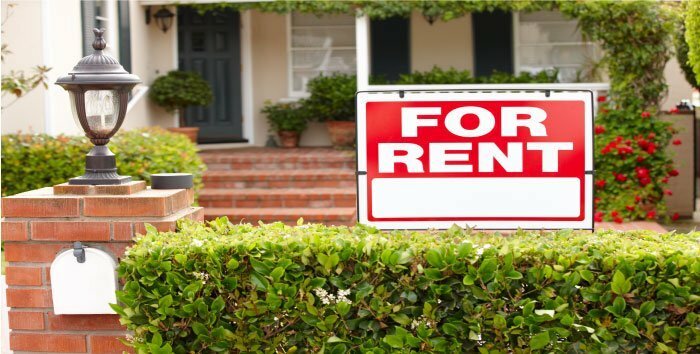 Making that decision to purchase a rental property is a big commitment and will require careful evaluation and planning on the part of the investor. Choosing a long-term rental investment is very different than choosing a property to fix and flip. Consideration must be given to whether the numbers make sense to yield the best returns and whether the home’s features speak to what potential tenants would look for in the area. This due diligence prior to that purchase can make all the difference between finding a successful buy and hold rental vs. a complete money pit. In part one of this blog series, we will dive into the important first steps an investor should take when evaluating the demand for rentals in a particular market and how to choose a good location to consider purchasing properties in. The first thing an investor should do if they are considering a new rental property is to check the real estate market for where the current demand for rentals is the greatest and the worst. You don’t want to end up making a purchase during a time when the market is more favorable towards buying. The current market speaks, and it is saying that single-family rentals are a hot commodity right now. This high demand could be a result of lower housing inventory for available properties and much higher purchase prices being seen across the market as a whole. As a result more and more people are renting, making this target market a great one to capitalize on. Next you’ll want to choose the area you wish to invest in. For many investors, this is within driving distance of where they live. Why? Because they are most familiar with that market and can easily travel to and from the property and self-manage the property. However, investors may discover more profitable investments in markets outside their backyard. When you find the area you want to invest in, really start to dig into the local rental market. Check comps and see what other homes have rented for. Evaluate whether rents have increased or decreased over the course of a few years because this is a good indicator of the demand for rentals. When evaluating the particular market you are interested in, an important factor to look at is how many other homes in the area are currently vacant. A high number of empty homes can be a bad sign for the neighborhood. Similarly, check the crime reports to see what the rate of criminal activity has been for that area because this could affect both the investor and the tenants. As an investor, your property’s value could be negatively impacted and you could have a harder time finding tenants willing to live in a high-crime neighborhood. Ask yourself if this is a place you would want to live in. If you live near where the property is, drive around and see what your tenants will see if they live there. If you are too far from where the rental is located, consider enlisting the help of a local realtor to provide you with information that only someone who lives there would know, or check Google Maps and view the street images to get a better understanding of the neighborhood. Check out Part 2 of our blog and discover how to pick the specific property that will yield the best profits and attract the most tenants and learn how to crunch the numbers before making that final decision on a buy and hold investment.